Unlike the hard pencil, the soft pencil and graphite are designed to make a much heavier mark and to create a tonal range -from a very dense black through to white. 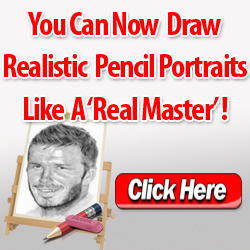 The soft pencil and graphite enable you to do this quickly and efficiently. 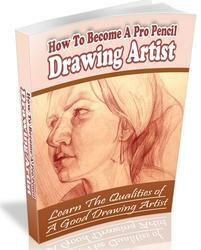 The pencil will also allow you to describe shape and form, but you must keep the lead sharpened. The types of drawings associated with these materials are more open and expressive by nature. They relate to our responses, our observations and ideas, and might be the sort of drawings we jot down in a sketch-book as a record of our first thoughts about a subject. They might be a part of our visual research and notation. They record a change of tone, either through observation or imagination, or imply a textural surface. They can be drawings which give an explanation or give expression in their own right (that is, works of art in themselves and not just supports for further work). A useful material that can enhance the use of the soft pencil is the eraser, and the two work very well together to create expressive effects. Whereas when used with the hard pencil the eraser is associated solely with the elimination of mistakes, as a complementary tool to soft pencils and charcoal its contribution is entirely positive. Different effects can be produced with soft pencils and graphite if you vary the amount of pressure you use. Pressure enables you to activate the surface of the picture plane, either by using tone or weight of mark. Look at these examples of creating tonal gradation and then experiment yourself. As well as varying the pressure, try to apply the material in as many different ways as you can find, using different movements and different areas of the material.